The necessity of Forklift training and certification is widely talked about in the field of heavy industry. It is a mandatory rule for every company to conduct training for their employees to maintain workplace safety as per guidance issued by the regularity body in this field, the Office of Safety and Health Administration (OSHA). We ProSAP is a forklift training agency in Ottawa who trains individuals on how to operate the vehicles and equipment in the industrial premises. Our aim is to assist you in the process of maintaining workplace safety for you and your workers. We wish to forge a long term relationship with our customers by giving them professional instructions on how to handle those heavy vehicles in the workplace. This naturally minimizes the workplace accidents, any injury, and casualty and thus save you from the legal hassle that involves in case of such mishaps. If heavy industrial trucks are being used in your workplace your employees must know how to operate them safely. An employer is responsible for conducting the forklift training in his workplace. In absence of this, you can personally take up forklift certification courses which increases the chance of getting a job in this filed. You must train yourself before joining the forklift industry to be safe in hazardous workplace conditions. A variety of training options are available in this field. If you are already employed in an organization you can update your skills by taking up these courses. Some online forklift courses are also available, but going to a school is always a better option to enhance your knowledge and skill. It is important to receive the forklift training from a quality institute as it gives you better guidance and training about forklift. The best option before you is to go to a quality forklift training school in your locality and prepare yourself well ahead to face the challenges in your workplace. So if you are aiming to grow in this field you must undergo forklift certification courses to train yourself. Your career will take a jumpstart. 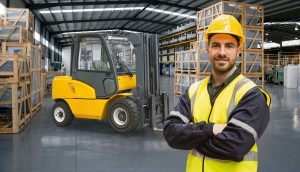 We are a leading Forklift training agency in Ottawa who helps organizations to train their candidates and receive certifications to safely work in this field. We Pro SAP believe in imparting high-quality technical training to our clients. Call us at 613-898-9095 if you want to undergo Forklift training in Ottawa and start a career in this field.